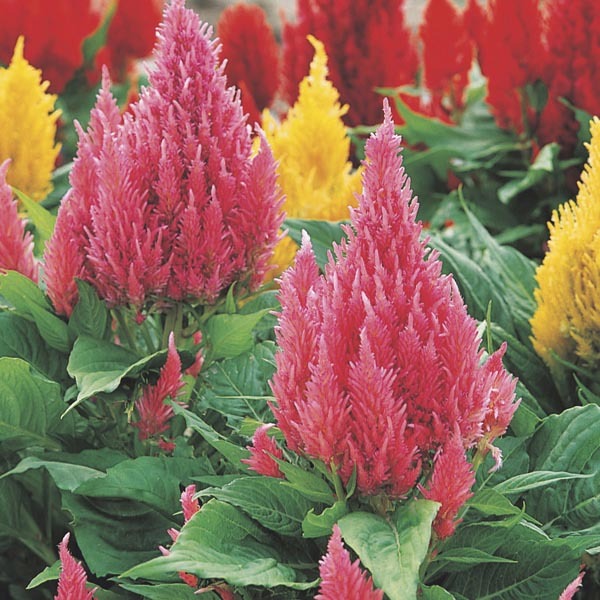 Plumosa is most correctly a type of Celosia rather than a species, indicating that the chosen variety has flowers that are upright plumes. These delightfully bright feathers of bloom bring vertical interest and long-lasting color to sunny plantings. Look for varieties with red foliage to heat up the display even more. The perfect choice for beds and borders. Superb for baskets, containers and window boxes. Excellent cut flowers for fresh or dried arrangements. Very easy to grow in virtually any location. Best in fertile, well-drained soil. Water as needed to keep soil evenly moist, especially in hot weather. Fertilize regularly for best display.